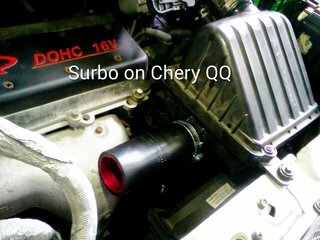 The Surbo enabled the Chery QQ to rev to the rpm limit easily, as the engine has a peaky top end. Photo below shows the Surbo installed on Chery QQ. 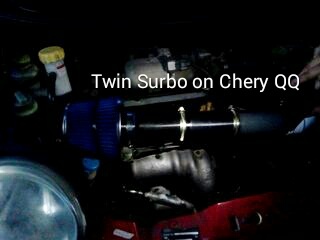 Photo below shows the Twin Surbo installed on Chery QQ with a cone filter setup. The single Surbo can be installed on the original filter case.